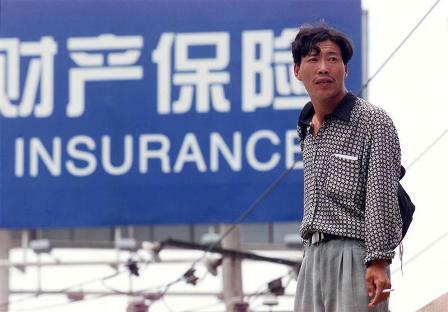 The People’s Insurance Company of China is all about the power of big numbers. The insurer’s 17 investment banks have helped it sign up 17 “cornerstone” backers in advance of its $3.6 billion Hong Kong offering. Though they’re hardly big-name value investors, they improve the likelihood of getting the deal done. Signing up cornerstone investors ahead of an IPO is largely a Hong Kong phenomenon. The original idea was that big-name investors would put a valuation on the stock in return for a guaranteed allocation. A vote of confidence from local tycoons and sovereign wealth funds would help to boost confidence among smaller shareholders. In recent years, cornerstone investors have tended to take between 10 percent and 20 percent of the shares on offer. Hot IPOs like Prada’s 2010 offering dispensed with them altogether. Today, however, issuers and banks are increasingly relying on big investors to help mop up the stock: PICC’s 17 cornerstones are picking up more than half of the IPO. Some investors are buying for strategic reasons. Seven of PICC’s 17 investors are fellow insurance companies, including American International Group, insurers from France, Japan and Russia, and three domestic rivals such as China Life. These buyers tend to have a relationship with the issuer, or are hoping to build one. AIG, which is investing $500 million, simultaneously signed a deal with PICC to sell life insurance in China. That gives the U.S insurer, which was forced to offload its Asian arm in the wake of the crisis, a new foothold in the world’s most populous market. Other Chinese companies have different motivations. Some companies, like Zijing Mining, Yuexiu REIT and Fosun International, have staged successful initial public offerings in Hong Kong. Getting approval to move the proceeds back home may take months or years, and some may prefer to leave it offshore. Investing in familiar Chinese stocks in Hong Kong is one place to park the cash. But there are two drawbacks to over-replying on cornerstones. First, it reduces liquidity in the stock, as cornerstones usually agree to not to sell for six months or a year. And when those lock-ups expire, the fear is that large amounts of stock will flood to the market. In a tough market, however, PICC and its 17 investment banks need all the help they can get. People’s Insurance Company (Group) of China (PICC) secured $1.9 billion in commitments from 17 cornerstone investors for its $3.6 billion Hong Kong initial public offering, Reuters reported on Nov. 21. PICC Group has got pledges from American International Group (AIG), Chinese utility State Grid Corp, the country’s leading gold miner Zijin Mining Group, defence contractor Spacechina and China Life Insurance Co Ltd.
China International Capital Corp (CICC), Credit Suisse Group AG, Goldman Sachs Group Inc and HSBC Holdings Plc won mandates as sponsors of the deal. The list of banks also helping to underwrite the IPO includes Bank of America Merrill Lynch, Morgan Stanley and UBS AG as well Chinese firms such as ABC International and BOC International.